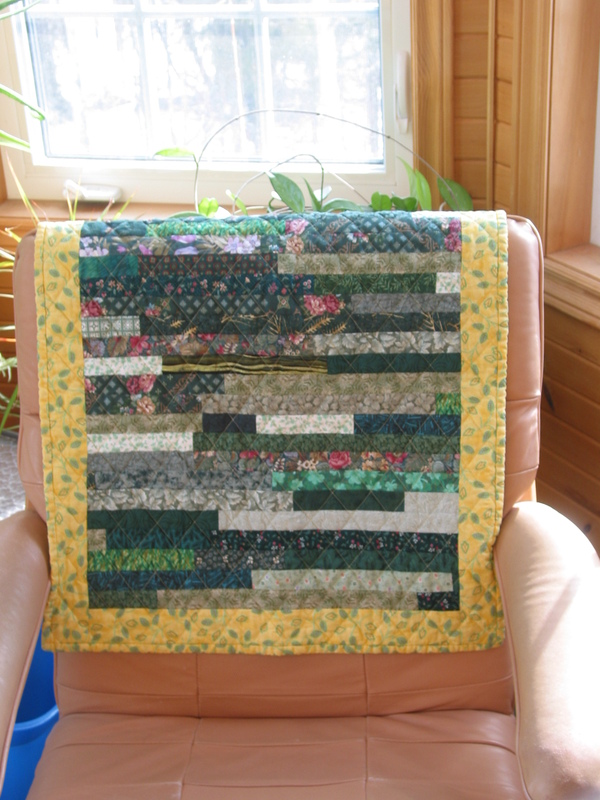 This little doll quilt was made from green strings that were 1 1/2" wide. I joined the lot of them end to end to make a very long string. Then folded it back on itself three different times and sewed the long side each time to end up with a strata that was 8 1/2" wide. This was then cut into three equal pieces which were then resewn to make the rectangle shape. A very relaxing way to put a small top together. No pictures today to protect the identities of the "guilty" parties. What a day we had at Scrapbag Quilters yesterday! We got a good start right at 9:00. 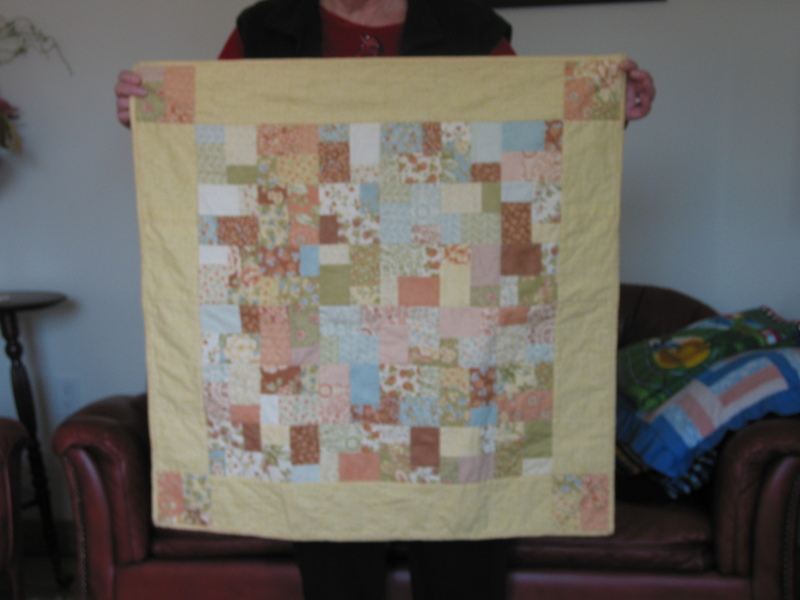 I had two sample quilts to show the pattern. I posted pictures of these a couple of weeks ago. 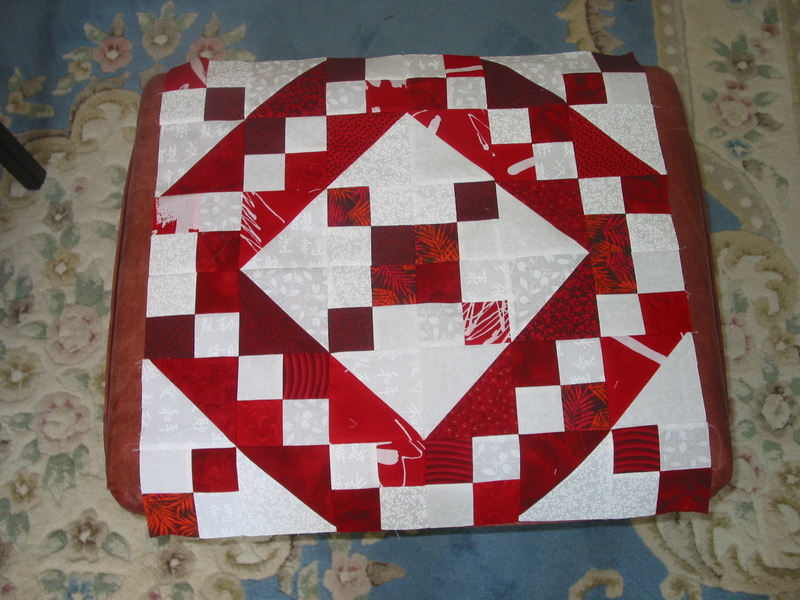 I explained how to do the block, showed it with a sample and handed out written and pictorial instructions. All I can say is then let the fun begin. By the end of the afternoon we were giggling something fierce and suggesting that "mistake" was variation 10. We doubled the salary of our presser when we doubled her responsibilities and added quality control to her title. All in good fun and we finished the day with 5 good size quilt tops either assembled or almost assembled. 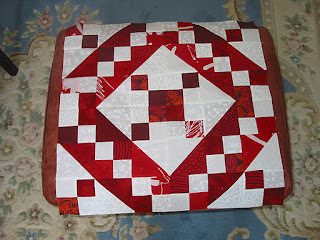 Mine is to the blocks stage but I had other things to do so did not get as much sewing in as I had thought I might. 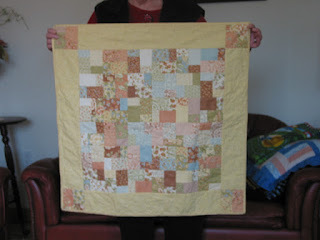 These are the two double slice samples for the next Scrapbag Quilters day. The small one was made with charm squares and the large one with layer cake size pieces. The pattern was found at the Missouri Star Quilt Company blog and they had made a YouTube video to show the process. 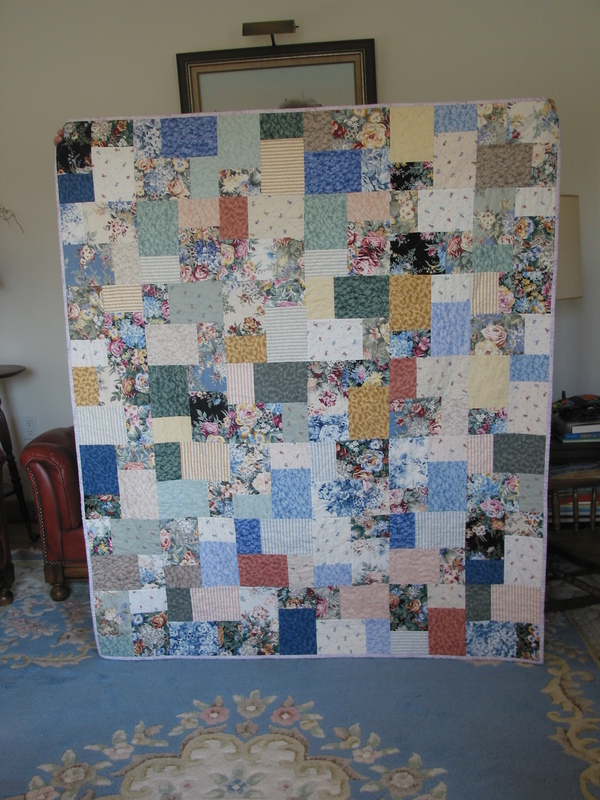 I made my own layer cake from scraps and put the sample together. I am ready almost two weeks early.